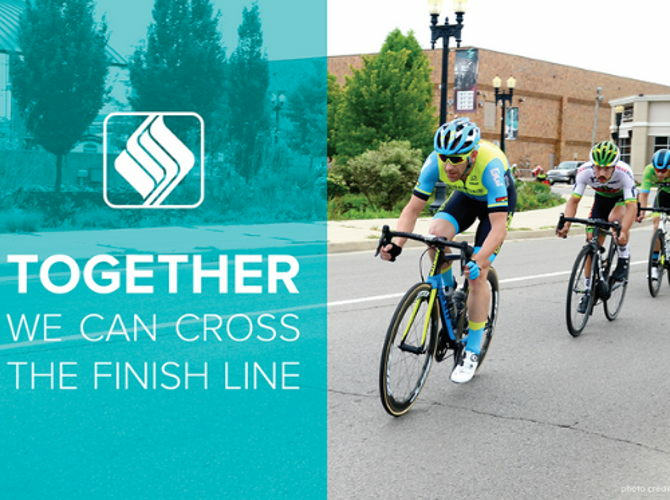 Together we can cross the finish line. Just a few months ago, we shared that your gifts to unrestricted funds at The Community Foundation would be matched thanks to a $1 million grant from Lilly Endowment Inc. This $2 to $1 match will allow the Foundation to increase grantmaking to nonprofits doing meaningful work in Muncie and Delaware County today, tomorrow, and always. Since the matching period began, 150 neighbors, just like you, contributed to The Unrestricted Fund. Each contribution has helped the Foundation get closer to meeting the match. We are now 74 percent of the way to the finish line. Make your gift today and you can help us win this race! Your gift to The Unrestricted Fund will have a lasting impact on this community. When we meet the match, we all win. 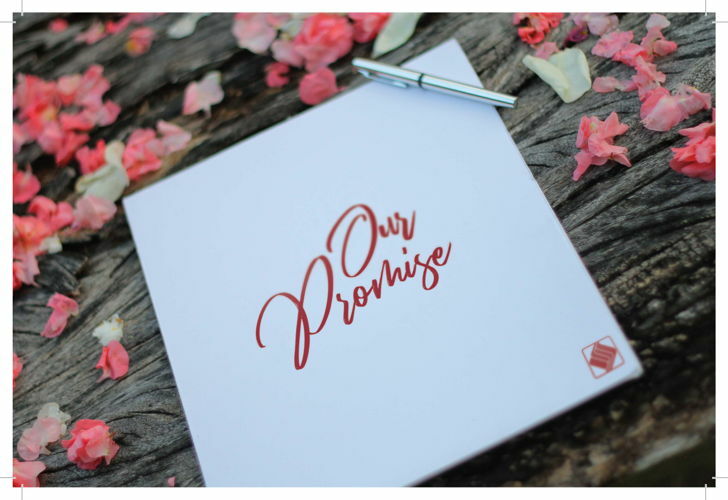 On May 15, 1985, the first donors made their gifts to The Community Foundation, and on that day, we made a promise to you. Every day since, we have fulfilled that promise of growth and endurance to allow every charitable gift to meet a wide variety of Muncie and Delaware County’s needs. Play Community Bingo! Do you know your community? The Community Foundation of Muncie and Delaware County, Inc. promotes positive change now and for generations to come. We can’t do it alone. We must all look for ways to improve the place where we work, live, or play. Join The Community Foundation as we highlight some of the ways you can make an impact on Delaware County through Community BINGO. 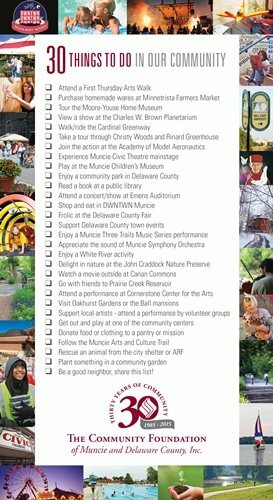 Use this BINGO card to get out, explore Delaware County, and discover new ways to give back to the local community. 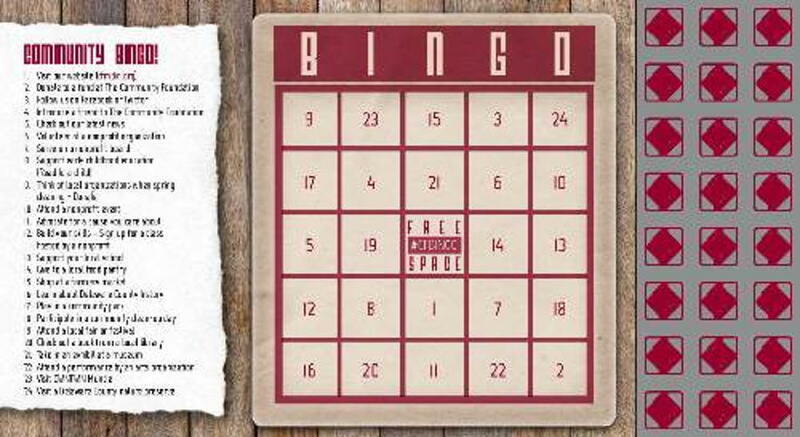 As you complete the activities, use the attached BINGO chips to mark them off. When you get a BINGO, let us know! Share a picture of yourself with your completed card and a story of what you discovered on your favorite social media channel using #CFBINGO. Check'em out, then check'em off! There is something for everyone in Muncie and Delaware County. Whatever the time of year, our community offers an exciting assortment of places to go, things to do and people to see.